Jeff Moehlis: I’ve been enjoying listening to your new album Time and Emotion. How did that come together? 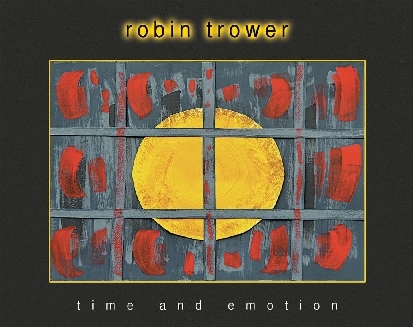 Robin Trower: As I was just finishing off mixing the previous album, I started to come up with material for this new album. I knew I wanted to write some music that was a little bit more complex than the previous album. All the ideas started to flow, and I came up with the material and started recording more or less straight away. JM: How did your approach to the new album differ, say, from some of your early solo albums like Bridge of Sighs? RT: The way I record in recent times is I do most of it myself. So it’s all done in overdubbing, rather than putting it down with a band live. So that’s quite a big difference. JM: You definitely capture a groove, which it seems like it would be hard to do that way. How do you maintain the energy of the songs when you’re overdubbing? RT: I think just because it’s inherent in what I’m writing. The performance is vital to it. I just think that’s my style, whether I’m putting it down live with a band or in overdubbing. It’s still going to have some potency to it. Yeah, that’s what I’m striving for all the time. JM: The first Procol Harum album turns 50 years old this year. It probably seems like a different lifetime to you. JM: What are your reflections on that album? RT: I always think about that first album as having fantastic material. The band was really, really strong. It came together very quickly in the studio. We rehearsed the songs up in the studio and put them down straight away, so it all had a lovely freshness to it. 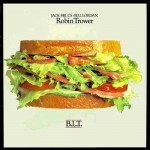 JM: One other Procol Harum question. I always loved your song “Song for a Dreamer”, from your last album with them. Can you tell me a little bit about what you were going for with that song, and how that pointed you in the direction that you went in for your solo career? RT: Well, it was Keith Reid, the lyricist’s idea. He came to me with this lyric, and he said he wanted to do a tribute track to Jimi Hendrix, because he had just died recently at that time. So I came up with that piece of music. As you say, it was so successful that I think it started me off in my writing. It gave me confidence to go on and write more music, really. 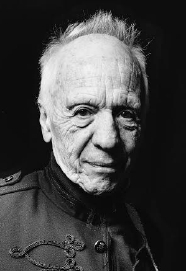 JM: You’ve often cited Jimi Hendrix as an influence on your playing. Did you ever to meet him? RT: Only very briefly. Toward the end of my time in Procol we opened up a show that he was top of the bill. I said, “Hello”, that was all. JM: I’m sure you stuck around to see him perform, right? JM: What was a highlight of watching Hendrix perform? RT: Well, to be honest, that night in Berlin, it wasn’t a very good night. He seemed to be struggling to get it to happen, and the audience got very restive. There was a bit of booing, even, so it wasn’t a great night. But obviously you’re aware what an exceptional talent on the guitar he was. JM: You’ve crossed paths with another of my favorite guitarists… I read that you gave guitar lessons to Robert Fripp from King Crimson. RT: [laughs] No, not really. We became very good friends. We toured together in the 70’s, on the same bill. We did a whole tour of America, and we became good friends. I tried to show him something of what I do, but no, I wouldn’t call it a guitar lesson [laughs]. JM: OK, maybe we can correct the record on that. I read that tour was in 1974, when you were really taking off, and that’s my favorite era of King Crimson. What do you remember about that particular tour? RT: I can’t really remember a lot about it. I mean, King Crimson are not really my cup of tea, musically. But it was great because I became great mates with Bob. JM: Another person I want to ask you about… Starting in the early 80’s, you did some cool stuff with Jack Bruce, who unfortunately passed away not too long ago. What was it like working with him? RT: Oh, incredible. He was quite an amazing gifted bassist and singer. He was dynamite. RT: What I always say to someone who is, as you say, aspiring, is a bit of advice that I was lucky enough to realize very early on. For instance, I was a very, very big fan of B.B. King in the 60’s. But I realized that it’s best if you don’t try to play somebody else’s licks. For instance, if you try to play a B.B. King lick, you know, copy his phrase note for note or whatever, you can’t put the soul that he’s put into it to make it magical. So what you’ve got to do is try and find your own way of expressing. I think if you copy too much, then you might put a block on your own development, in terms of being about to express yourself. That’s a good bit of advice that I can give to young players. RT: [laughs] I mean, the other one is obviously practice, practice, practice, isn’t it? JM: You’ve been doing this for a while. 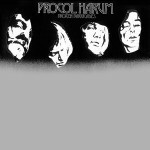 The first Procol Harum album turns 50 this year, and your solo career has been going for 45 years or so. Do you think you’ll ever get tired of plugging the Strat into a Marshall amp and cranking it up? RT: Will I ever get tired of it? Well, I haven’t yet [laughs]. You know, I feel like I’m always striving, reaching forward as it were, striving to do better music. That’s what all the fun is – moving forward – really. JM: That leads into my next question. What are your plans for the near future? Have you thought about some new songs, do you want to record another album, or are you more focused on touring right now? RT: Well, I am starting to write new material for my next album. But in the last few months I’ve been working on a project with a singer called Maxi Priest and a producer called Livingston Brown. We’re doing a thing together. We’ve been writing songs together and recording. JM: Cool! Any idea when that will wrap up? RT: I’m hoping we’ll have it finished by the end of the summer, then it may come out this year but probably not until early next year. 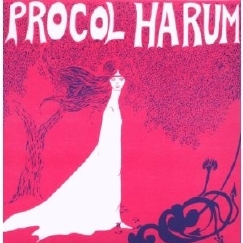 JM: I’m a fan of both your solo work and Procol Harum, but you seem not to do any Procol Harum songs in concert. Is there any chance that you would do “Song for a Dreamer”, or something like “Simple Sister” with that really cool riff? Do you ever consider playing those songs? RT: I used to do “Song for a Dreamer” in the ’70’s, but I’ve got so many songs of my own, that I’ve written, that they fall by the wayside, those Procol songs. JM: I suppose you can’t play all night, right? RT: The thing is, I like to play the most popular songs from the 70’s, or some of them anyway, and then get a few in from the last few years. 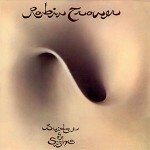 JM: Speaking of the ’70’s, what are your reflections on the Bridge of Sighs album? RT: I still think there’s parts of it that are incredibly strong, even today, that stand up. Then there’s parts of it I’m sort of disappointed with. But, you know, that’s always going to be the case. JM: Geoff Emerick was the engineer for that album, and of course he worked on so many great albums over the years. What did he bring to that album? RT: Well, I think the actual sound of it is due to Geoff. He came up with a way of recording loud guitar, and I don’t think it had been done before. I think it was quite a big thing Geoff added there. He was a great engineer, really great. JM: It’s amazing how cool the guitar sound is. If I try to get that sound, even nowadays with all the new technology, I don’t know how to do it. RT: We were playing in a big room in London. It was a big room. He may have been the first to do it, but he placed three different mics different distances away from my amps. So that’s how he got the size that he got. I think he may have been the first guy to do that. Trower is the most under appreciated guitarist of the last 50 years, surpassing Clapton, Stevie Ray, Santana, Gilmour, and Bonamassa in evoking purist soulful playing. His face mirrors the riffs like he is playing them for the first time. I’ll see him in Bakersfield on Sunday, but miss him at the Lobero. Thanks for the article and interview!